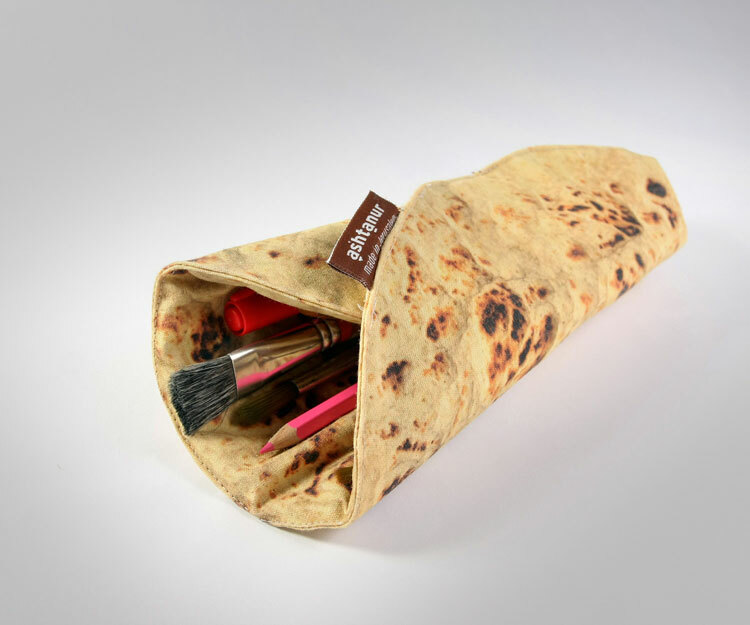 The pita bread penicl holder is an art supply organizer that looks like, smells like, feels like, and tastes like a real piece of pita bread, and is great for when you get hungry while drawing or painting, just remove your pencils or paintbrushes, and take a little bite out of your pita bread pencil holder. 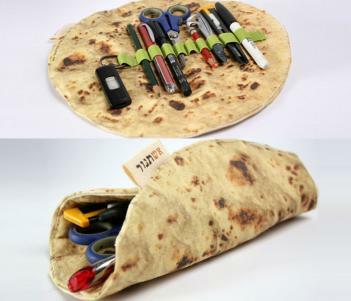 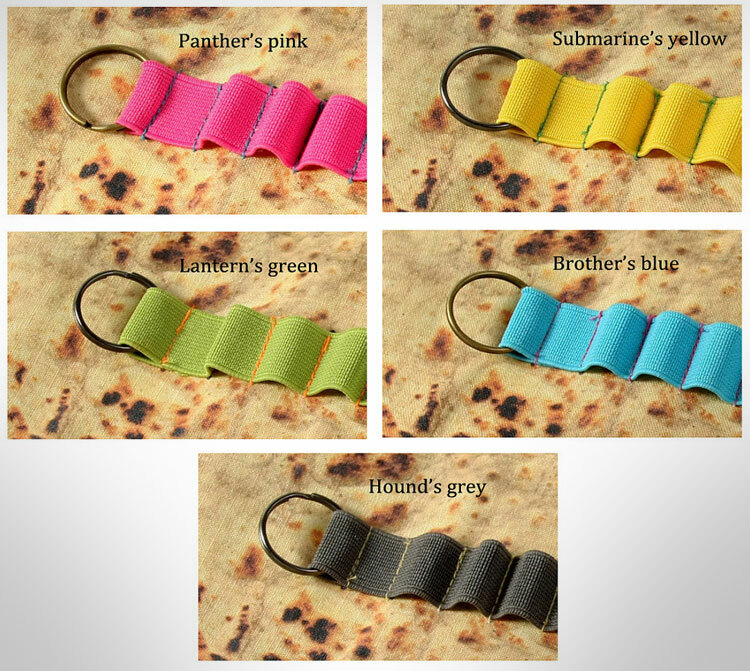 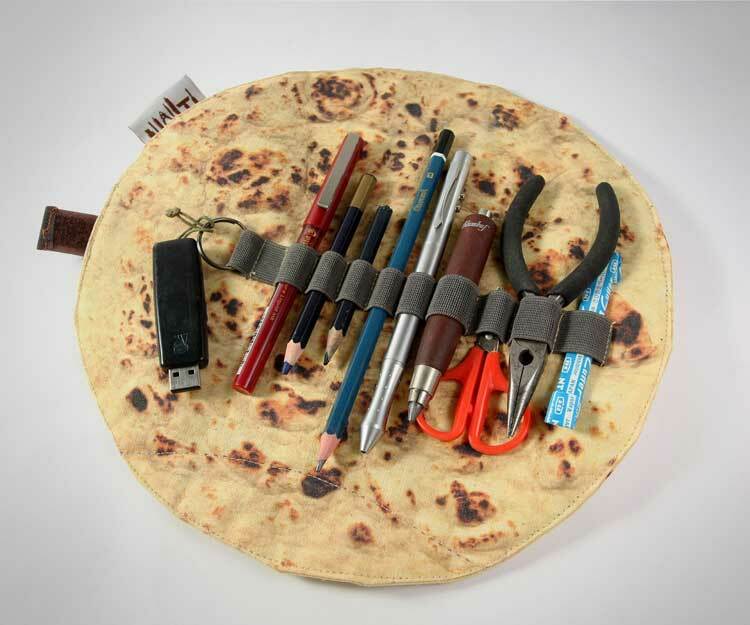 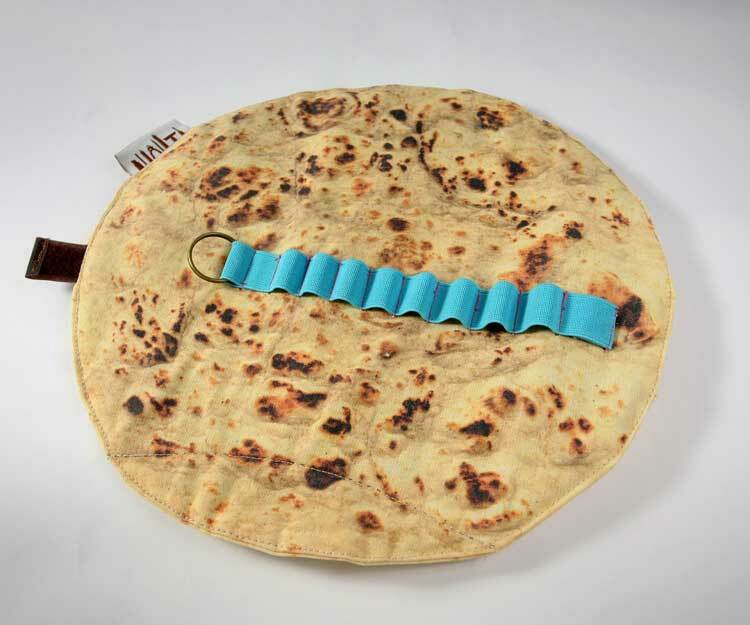 Although the pita bread pencil holder is inedible, the taste of cloth, fabric, and pencil shavings in your mouth should suppress your hunger for a little while. 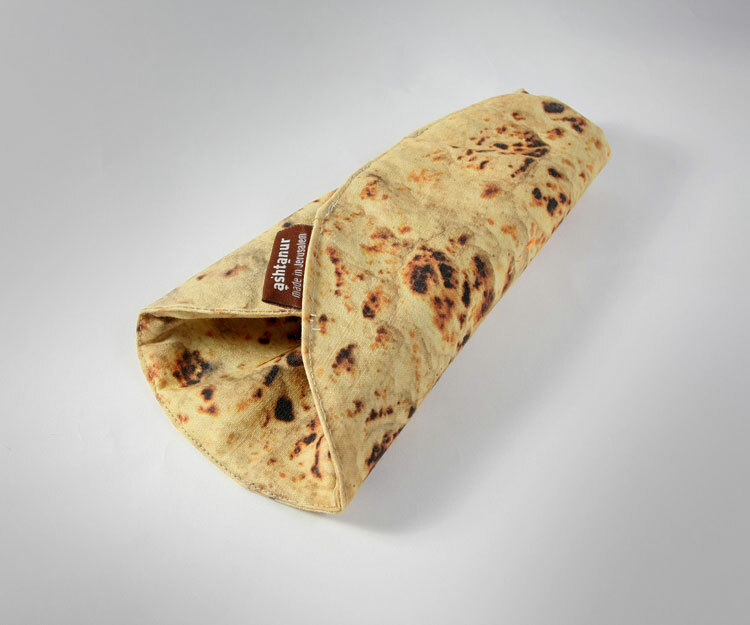 The burrito pencil case is handmade from fabric, cloth, rubber and webbing, can hold up to 10 pens, pencils, or art supplies, and comes in a plethora of different elastic webbing colors to choose from.